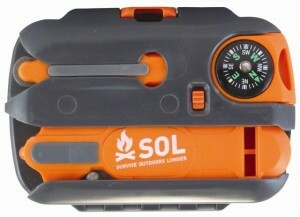 You can pick up a Survive Outdoors Longer (SOL) Survival Kit for about $35 from Amazon. At the time, that included free shipping. Lightweight - the kit is only 6.25 ounces; a bit heavier than an iPhone. For something that could save your life that doesn't seem too bad. I really wanted to see how sharp the knife was. Is it one of those that is great out of the box or one that needs some TLC in order to make a clean cut in paper? I was happy to see it was the former, it is sharp and ready to go. I always title this section "Real World". I hope with this product I don't ever need it in the real world, so I'll go with what experience I do have. 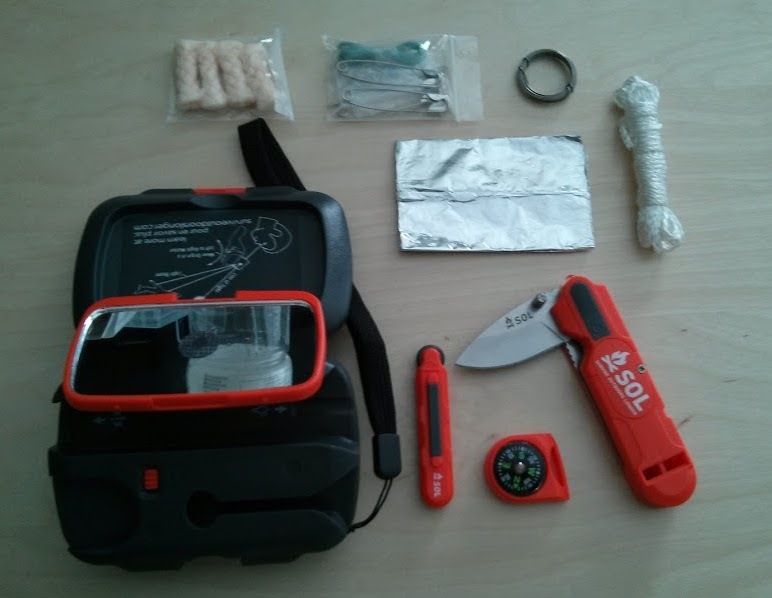 I had a kit twice as big on my wilderness survival night in Boy Scouts. It was the worst night I've ever had camping - not because we went out with almost nothing, but there was a huge all-night thunderstorm shaking the ground and pounding us with rain. How would the SOL kit have helped me then? I would have been able to get fire going, and had a decent knife and a little nylon cord - but that is about it for that night. I sure wasn't up for any fishing. The included instructions are more of a reminder, but if you've ever done any reading on survival it is enough to jog your memory and point you in the right direction when you may otherwise forget what you once knew. Overall, it is a great little starter kit, but if you are serious enough to build your own, you may want to go that route. Compass - not much of one, but better than nothing. Lacks anything good for shelter. A poncho, heat sheet, mylar bag, etc. 3-7/8" x 2-3/4" x 1-1/2"
Page generated in: 0.0012 sec.